It seems like there is a day for everything this year—a national day for your dog or your siblings. A national day to eat pancakes (and no coincidence here that it is also the national day for donuts), but let's talk about one that is very important here at SUNSET®. 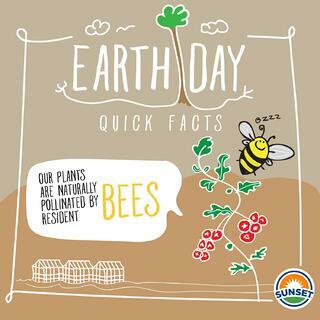 We're talkin' EARTH DAY. 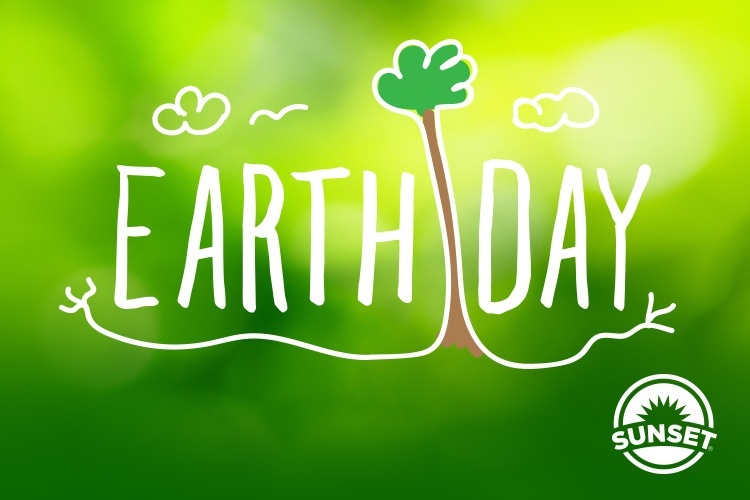 In fact, shouldn’t Earth Day be every day? I mean, it's our planet we need to protect and all. We also wish we could eat donuts everyday, but some things just aren’t as realistic. 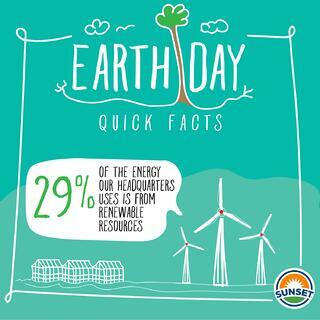 EARTH DAY is. 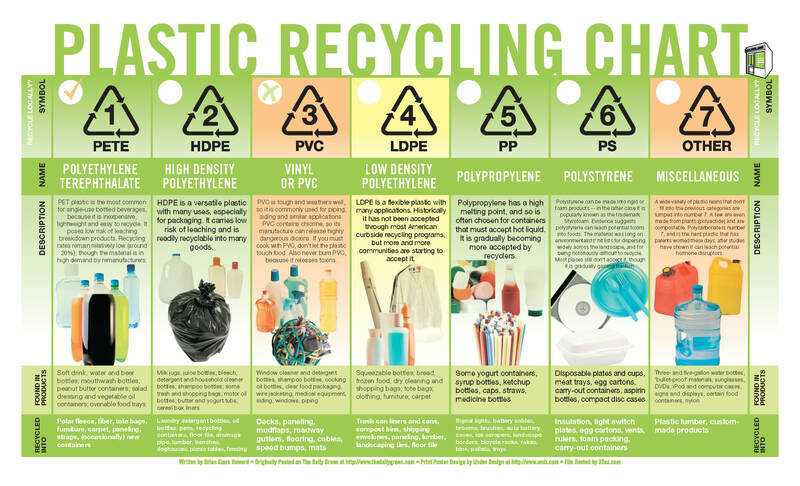 Here are 5 tips to get more green this year. You can make your own herb garden to grow fresh flavor indoors. 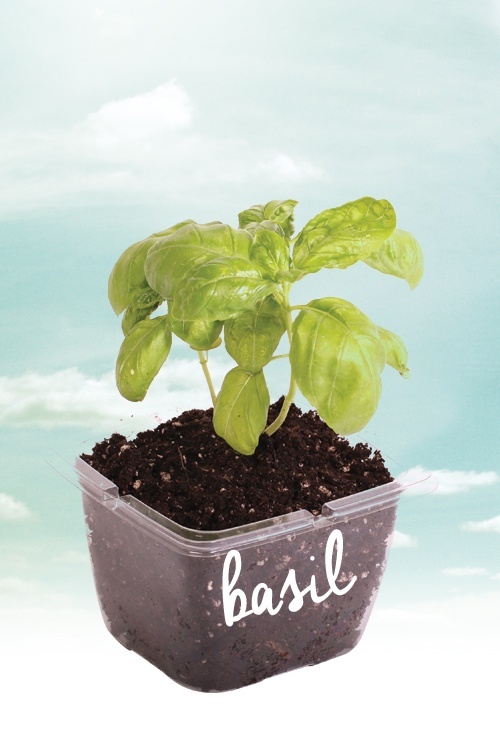 Think basil for caprese appetizers, cilantro for fresh salsa, mint for spa water, and rosemary for the grill. 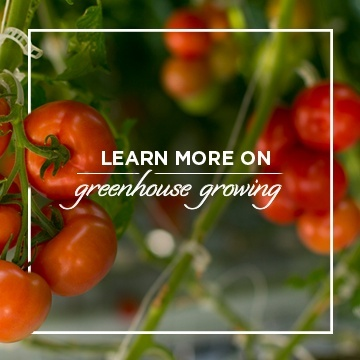 Our SUNSET® Top Seal packages works wonderfully as a recycled pot for fresh herbs and the biodegradeable container from our Organics line can be planted right in the ground! It’s finally warm(er), so let’s take advantage of it! Bike to dinner and ice cream or to the grocery store. It is not only fun to be outside, but some experts state that every four miles ridden on a bicycle keeps 15 pounds of pollutants out of the atmosphere. 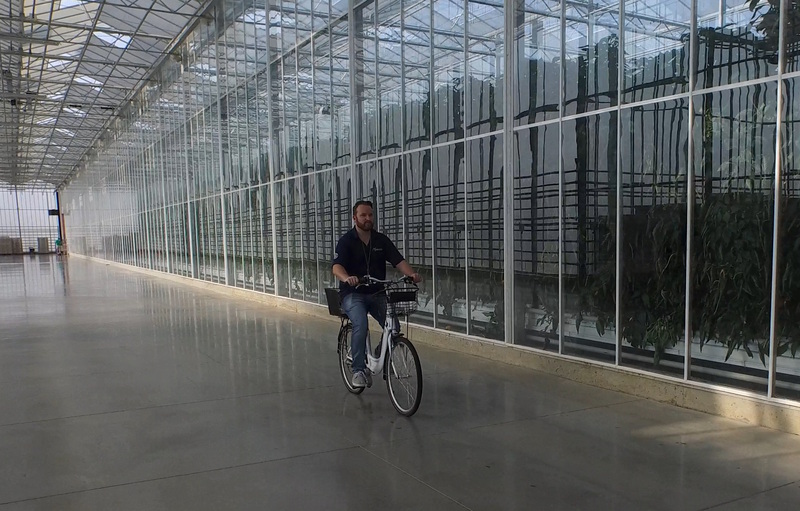 Fun fact: we bike around our greenhouses! We especially love these. It keeps your cold drinks cold for 24 hours and hot for 12. They are also doing their part to improve access to safe and clean water. We like that. No, LOVE that. 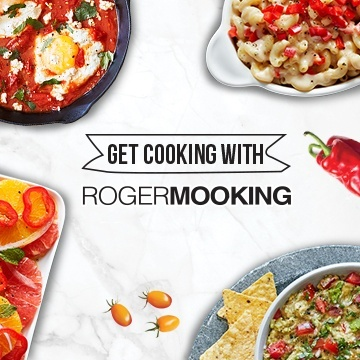 … And make delicious recipes! 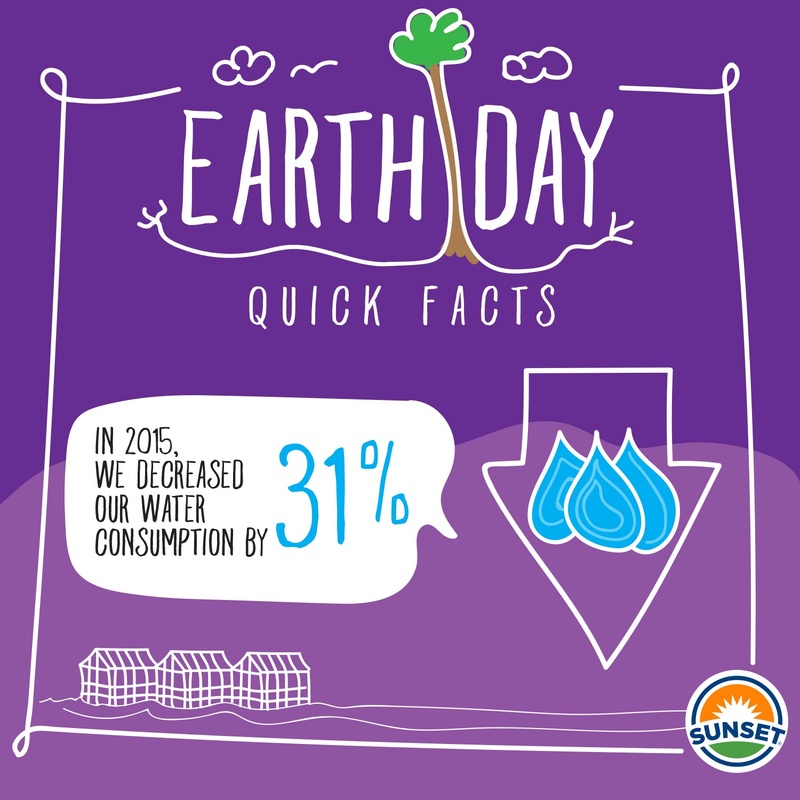 As fellow consumers, we believe in supporting companies that HELP cultivate a healthy, sustainable environment. 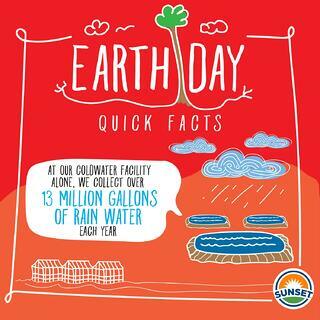 Here at SUNSET® we know a thing or two about protecting the environment. See how here… And here's just a few fun facts on how we do that!